During the holiday season I always feel like it is important to talk about the “can have” foods for dialysis patients and the renal diet! Holidays can be especially tough for someone trying to follow a restricted diet. 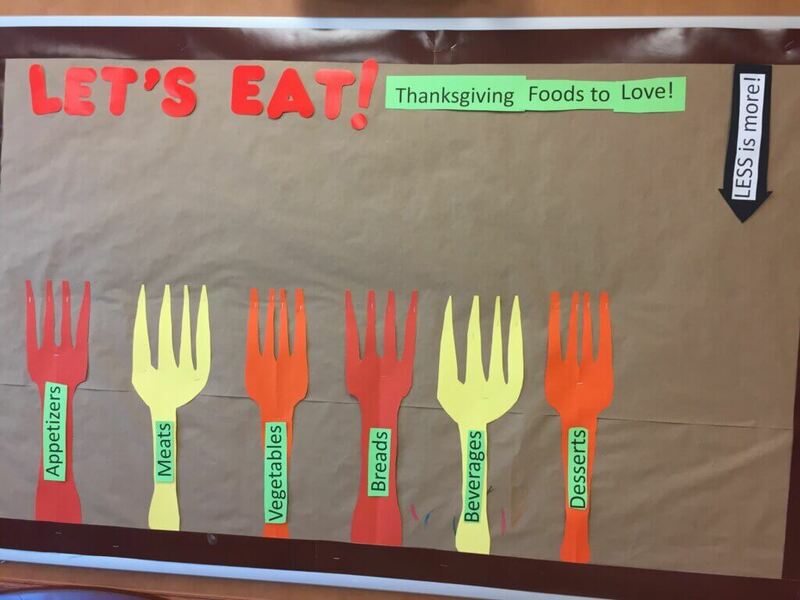 This bulletin board for a dialysis unit could be personalized a million different ways to feature regional foods. I used a lot of southern foods, but there are endless variations. If I were to do this board again, I would have put a big reminder on taking phosphate binders. I personally think one of the secrets of keeping the phosphorus down during the holidays is learning to bump up the phos binder dosage for the heaviest meals to match the increased phosphorus intake. The file contains a lot more foods then I could fit on this board. This is a great board to combine with this Thanksgiving Handout! The handout is front and back with some “can have” options on one side and the pumpkin free pumpkin pie on the other side. Want to read more about the pumpkin-free pumpkin pie? Check out the recipe here: Pumpkin-Free Pumpkin Pie). We also like these Pumpkin Spice Meringues if you’re dying to get your pumpkin fix this fall! Both files can be accessed via the Renal Education Library or by visiting RD2RD.